We are specialising in natural remedies. Offering the largest selection of homeopathic remedies, herbal remedies, minerals, vitamins, food supplements, in the sunny South East of Ireland. Providing you with expert advice from trained professionals. 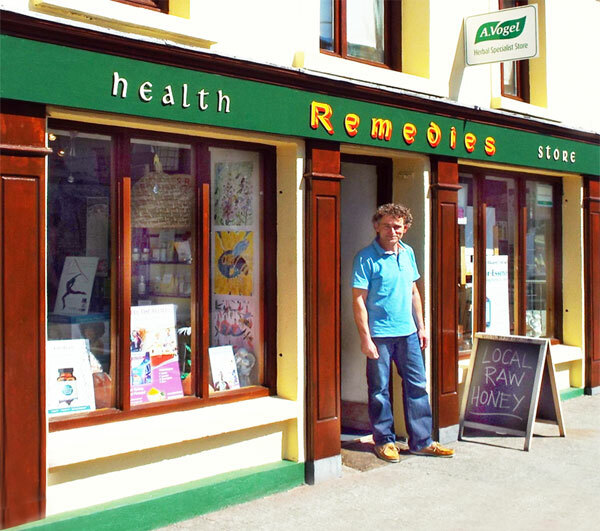 Remedies Health Store is an independent family run enterprise in Dungarvan. We are serving the local community and beyond since 1996. Interest in personal healthcare has led to a huge growth in holistic approaches and in complementary medicine. Everyone has their own needs, yet everyone has the same goal: to live healthier, to achieve wellness, to derive the maximum quality of life each and every day. To the extent we help you achieve this, we consider it a privilege. We do our best to provide solutions for our customers to meet their demand for life long physical, mental and emotional wellness. If you got any questions regarding the remedies and services we offer, or any other information you need to know, do not hesitate to get in touch with us. Slainte agus go n-eiri an bothar leat. 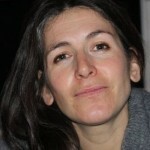 Kate practised as a reflexologist, health therapist in Strandside Medical Centre, Abbeyside for five years. Spent four years studying Classical Homoeopathy at the Burren School of Homoeopathy, followed by a two year post graduate course. One year later becoming a registered Homoeopath. Licentiate of the Burren School of Homoeopathy since May 1998. Registered Classical Homoeopath with >the Irish Society of Homeopaths since 2000. Seminars in Ireland, Scotland and London 2000 to 2007. Seminars with Rajan Sankaran in India, 2005 and 2006. Seminar with Louis Klein in Holland Nov. 2006. 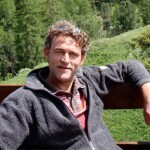 Spring seminars with Jan Scholten in Holland since 2001. Organising CPD lectures and proving seminars for homeopaths with Jan Scholten in Ireland, Kenya, South Africa, Madagascar, Costa Rica. Jürgen opened Remedies Health Store in April 1996. Weekly article (Health Tips from Remedies) for the ‘Dungarvan Leader’ since 1997. Vitamins Product Advisor Award, May 1998. Full member of >Health Stores Ireland (IAHS) since 1999. Move to bigger premises in May 2000. Launch of website in Oct 2000. Phyto-Therapy Course in Sept. 2001. Certificate in Food & Health with the Royal Society for Promotion of Health, 2001. Award presented at ‘Your Health Show’ in Dublin, 28th Oct. 2001 for highest achiever in Ireland of ‘Health Food Training School Diploma’. Appointed first A.Vogel herbal specialist shop in Co. Waterford, Nov. 2006. Organising seminars with Jan Scholten for homeopaths since 2007. Member of >Retail Excellence since 2016.